Tens of thousands of people attended the 2016 Lions’ Club Super Pull of the South in Chapel Hill on Friday and Saturday, July 22 and 23. The event was sponsored by the Touchstone Energy Cooperatives of Tennessee and TECA. 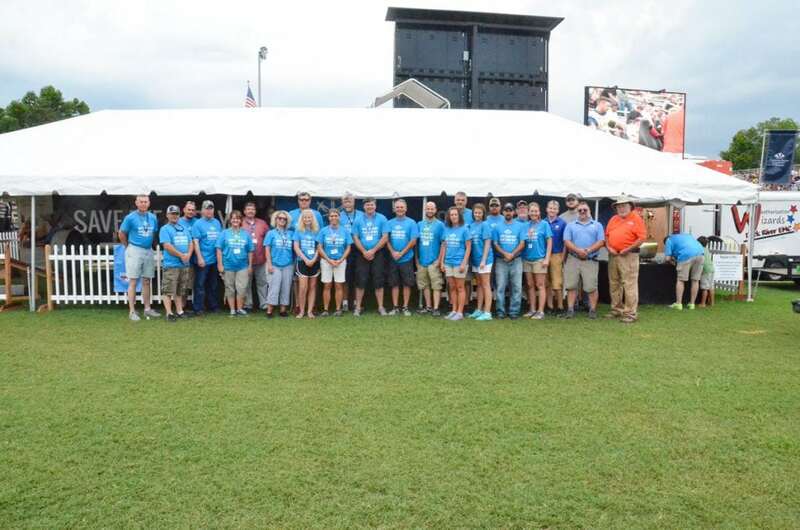 More than 70 volunteers from Tennessee’s Touchstone Energy Cooperatives volunteered to make the event a success. At the Touchstone Energy Cooperatives of Tennessee booth, members registered to win a riding lawn more and learned about electric safety and efficiency. Visitors could win tubes of caulk, LED lightbulbs or receptacle gaskets while learning about energy efficiency and TVA’s eScore program. The Touchstone Energy hot air balloon team flew over the stands with the American flag during the opening ceremony and gave tethered rides each evening.